Square wooden dining table with 8 matching chairs. Hardly used. This item is a square wooden dining table with 8 matching chairs. The table is 1500cm x 1500cm and is 760cm high. The chairs are apholstered in a pale green material and are 950cm tall and 430cm across the widest part of the seat. This set has been used minimally and is in excellent condition. We are looking for $400 or make an offer. In The Market For Danish Furniture For Your Home? Searching in the online market for Danish inspired furniture for your home? Explore them out at the Home Concepts. We stock a large selection of Danish and Scandinavian furniture including Danish beds, sofa, occasional tables and coffee table. No matter whether you need a small dining table for your kitchen or danish beds for your bedroom, we have a furniture to fit your home and budget. Parkwood designs and manufactures many different styles of wooden doors, but we also like it when our customers come up with their own designs for us to make! 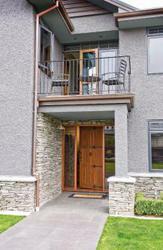 Contact us at: PO Box 300 Mitcham 5062 South Australia Website: http://www.parkwooddoors.com.au/galleries/. Parkwood's solid timber doors are made from a range of timbers that is both reliable for joinery, and sustainably sourced . It suited to Australian weather conditions and priced within everyone's budget. Contact us at: PO Box 300 Mitcham 5062 South Australia Website: http://www.parkwooddoors.com. Whatever the century is, the crackled leather sofas and chairs remain the forever favourite for a sign of luxury, comfort, class and style. 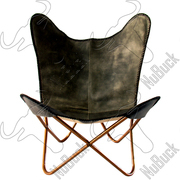 As the manufacturer and provider of bespoke furniture, we at Nubuck take pride in crafting the vintage look crackled leather furniture including butterfly chairs and hexagonal table. if youre in the market for a great media centrepiece of your living area, then the luxe adjustabl e tv cabinet is exactly what youre after. For more details, Please visit: http://www.shopprice.com.au/extendable+tv+cabinet. Find the perfect occasional tables for all the rooms in your home at NuBuck. From modern coffee table and contemporary tables with classic side and end tables, our table collection can help you add style and functionality to any space of your home. Visit our website to know more about the coffee and side table selection we offer. Online furniture and Home ware store serving Australia wide. Website: https://www.kenzdesigns.com.au/ Phone: 04 8888 5963 Email: info@kenzdesigns.com.au Address:	Suite 136 , F78B / 24 - 32 Lexington Drive Bella Vista NSW 2153 Australia. the ergoflex-life king-size mattress protector. fully waterproof, breathable and quiet to sleep on. machine-washable. will protect any mattress. For more details, Please visit: http://www.shopprice.com.au/mattress+protector+king. 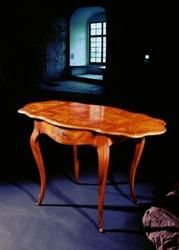 Luxury italian furniture: Louis XV style coffee and side tables. Louis XVI style small table. Maggiolini Style Chest of Drawers. 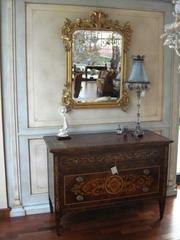 Louis XVI style Chest. For information: www.miasnc.it SILVIA. We sell chest of drawers Maggiolini style Mod. VERSAILLES in rosewood, root of walnut and pekia. For informations and contacts: http://www.miasnc.it info@miasnc.it ( Mrs. SILVIA). We sell Maggiolini style chest of drawers Mod. NIZZA. For informations and contacts: http://www.miasnc.it. We sell Louis XV Style small table Mod. NAPOLEON in walnut and root of olive ash. For informations and contacts: http://www.miasnc.it - info@miasnc.it (SILVIA) Artisan firm in MEDA specialized in the reproduction of antique home furniture. Particular care is taken with the finishing with both shellac and beeswax. Timber and leather dining suite. Table and six chairs as new condition..
Hand made timber Bar. Fully enclosed with shelving and doors. As new condition..
Leather lounge 4 piece setting. Made by Tessa. 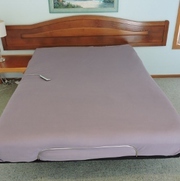 Only one year old, fabulous condition..
Electris adjustable queen size bed, made by Tempur-Ergo. Twelve months old, as new condition with near new mattress..
Used double bed ensemble, clean and tidy, good condition, suitable for spare room. Shop online wide range of dining tables and dining chairs in Melbourne from Home Concepts. We carry complete furniture with unique designs and style. Make sure your table looks great by browsing through our range of dining tables in Melbourne with an array of Timber materials and colours, from Tasmanian Oak, American Oak, Wormy Chestnut, and more. fits 1-2 full loads of washing!dry single sheets and towelsno bending saves your back3 year warranty easily folds up to store away .... For more details, Please visit: http://www.shopprice.com.au/hills+portable. original hills clothes hoist 50m linelarge (4.5m) clothes hoist in oz!galvanised steel tubing & wire installation + removal services available .... For more details, Please visit: http://www.shopprice.com.au/clothes+hoist. 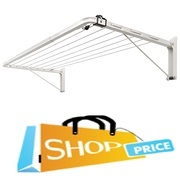 perfect for indoor/outdoor areas1.2m x 0.6m dimensionswall mount only unit100% australian made + 10 year warrantyinstallation + removal services available... For more details, Please visit: http://www.shopprice.com.au/outdoor+clothesline. type/material: quality american oak timber seat made out of 100% natural linen size: width 4 5cm x depth 57cm x height 104cm seat height 49-50cm seat depth 42.5cm seat width 39-45cm back heig ht from the seat: 60cm ..... For more details, Please visit: http://www.shopprice.com.au/french+provincial+dining. 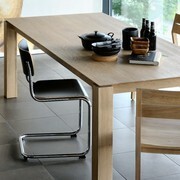 type/material: chairs: quality and strong durable plastic natural timber legs with black rods an d protective rubber to protect your floor table: white high gloss mdf top and beech wood legs .... For more details, Please visit: http://www.shopprice.com.au/mario+cellini+halo+dining. 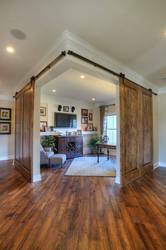 Parkwood Doors brings to you the finest of Entrance Doors with a wide range for workplaces and homes. The timbers we select for construction are the finest quality and our shutters and wooden louvres are known for their quality finish, strength and durability. Contact us for further details T: +611800 681 586 PO Box 300 Mitcham 5062 South Australia Website: http://parkwooddoors. Buy online from the largest collection of top quality and stylish office furniture available in Sunshine Coast, Brisbane and Noosa at the lowest price from dannysdesks.com.au.Shipping Available in Australia Wide! Call us at 1300855310 for more details! Contant US : Company Name :	Dannys Desks and Chairs Business Mail ID :	deals@dannysdesks. 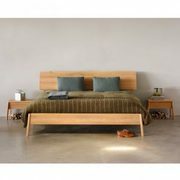 Furniture for sale Australia ads Australia, Furniture for sale classifieds Australia, Furniture for sale free ads Australia, ads for sale Australia, ads to buy Australia, FREEADSAustralia Page number 10-1. Find here ads for sale, to buy and rent in Australia. Goods for sale in Australia, vehicles for sale in Australia, Australia real estate for sale, Australia property for sale, property for rent in Australia, business ads in Australia, Australia business classifieds, services in Australia, Australia services ads, jobs in Australia, pets for sale in Australia, Australia dating, Australia cars for sale.